Kerry Lathan was arrested for violating probation after allegedly associating with a member of a gang. 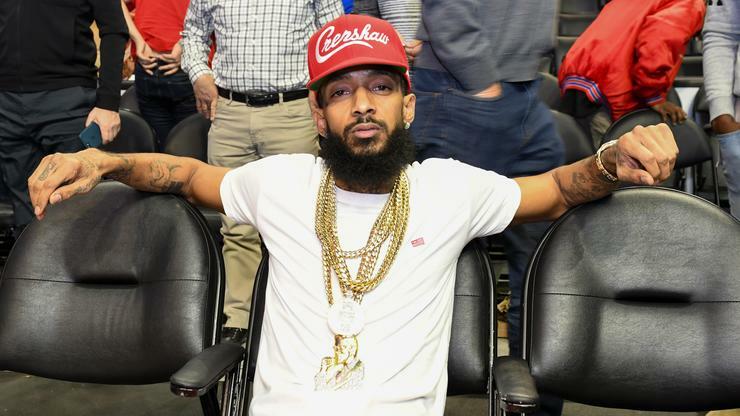 The tragic murder of Nipsey Hussle has sparked shock waves throughout the hip-hop community. His premature passing has touched the hearts of millions, especially those who were directly around him. One of the victims of the shooting, Kerry Lathan, 56, was arrested after he was discharged from the hospital for allegedly violating his probation. Lathan had been released earlier this year after serving approximately 24 years of 26 years in life for murder. Part of Lathan's probation conditions was not to associate with gang members. Thanks to Nipsey's affiliation with Rollin's 60's Crips, Lathan was arrested. In an exclusive interview with VLAD TV, Lathan talks about his arrest, saying it was completely unfair. Lathan claims that he never really associated with Nipsey and that the rapper simply gave some clothes to a family member so that he would have some new threads when he got out of jail. Lathan had gone to the Marathon store on March 31 to check it and that's when the shooting occurred. Currently, Lathan is limited to a wheelchair because the shots were so he can not walk at this time. The 56-year-old was picked up in his rehabilitation home and then taken directly to jail. Stay on top of updates to this story, as we will bring you developments as they occur.